Some simple strategies can help students reframe challenges as opportunities for growth. Students manifesting learned helplessness refuse to engage in any effort that could lead to improved outcomes, even if these ways are available, obvious, and easy. Learned helplessness may lead to action paralysis. In contrast, optimism frames negative events as springboards to favorable outcomes. Realistic optimism should be the educator’s goal. Realistic optimists recognize reality constraints and aspire to probable outcomes. They see the path to success as full of twists and turns. Consequently, they are not risk-averse. Teaching students about optimism can help them see unpleasant events as learning opportunities. The term negativity bias refers to a human brain’s attunement to negative, unpleasant events. At the end of a school day, if a teacher is focused on the singular instance that did not go so well compared with the many events that did go well, they are exhibiting this bias. 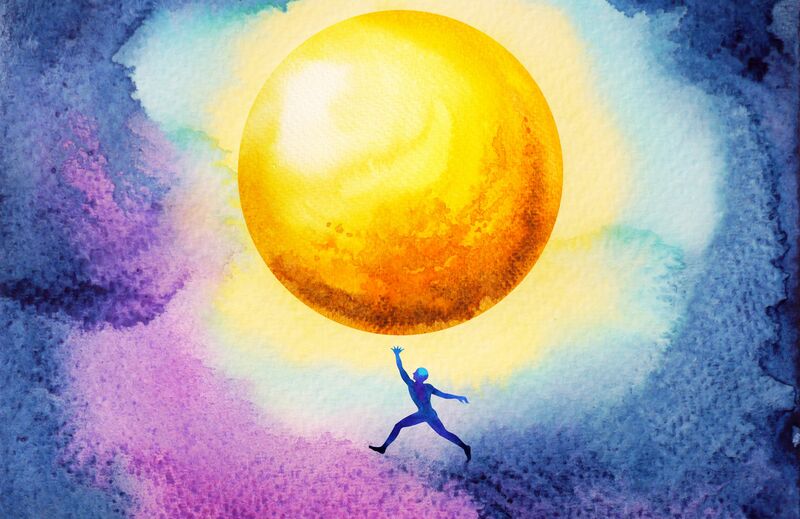 Modeling optimism is the best way to combat negativity bias, but there are several other things a teacher can do as well. Selective focus. Teach students to focus primarily on thoughts and events that lead to action-oriented solutions. I remember a time when I was teaching a lesson and the electricity went out. I was so disappointed because I had prepared a great lesson that it seemed would not happen. As I was inwardly bemoaning this unkind fate, I looked outside. It was a beautiful day. I asked my students to drag their chairs outside, and we conducted the lesson underneath a big tree. It turned out to be a memorable day and a positive learning experience. Averting catastrophizing. Do you have students who are able to arrive at the worst possible conclusion for a negative event? A student who receives a B in middle school math declares she won’t be able to go to the university of her choice. This is called catastrophization or unproductive self-talk. Educators can dole out empathy first, then help the student get unstuck by finding proactive, little steps to solve the problem. Using humor. Humor can be a great antidote to the negativity bias. There was a time when I taught a science lesson incorrectly and it took me 30 minutes to realize the error. I did an exaggerated shrug, looked at my class, and began erasing everything. I humbly admitted that I was wrong, apologized, and then asked, “Aren’t you glad I’m not a plastic surgeon?” My students laughed, and no one complained! Humor is a good strategy to help arrest rumination in its tracks. Allow laughter to take the sting out of a failure. Often, the worst possible scenario is laughably ludicrous. Personalization: Is the cause perceived to be internal or external? Permanence: Is the event specific (a one-time event) or eternal? Pervasiveness: Is the event applicable only to a specific situation, or is it global? A student manifesting learned helplessness will adopt an attribution that is internal, eternal, and global. This explanatory style can manifest in early childhood. Because self-talk often becomes automatic and habitual, there should be a place for teaching optimism in the classroom.